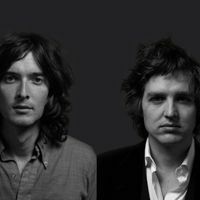 Kenneth Pattengale and Joey Ryan make up the duo Milk Carton Kids. They've been making music together since 2011 now. The duo was nominated for a Grammy Award in 2013 for Best Folk Album. Their sixth album was launched at the end of 2015 and is titled Monterey. Milk Carton Kids will be in Montreal at the Virgin Mobile Corona Theater in May 2016.